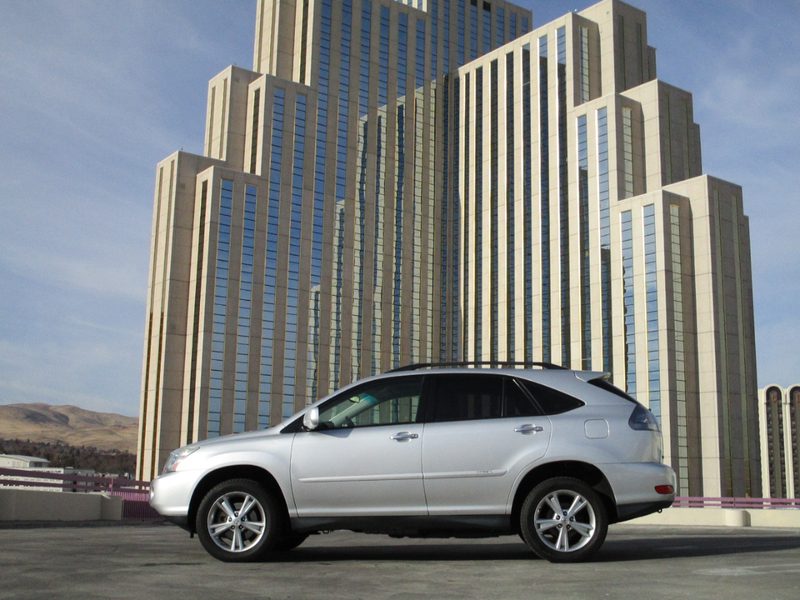 2008 Lexus RX 400h with a 3.3 L engine, 6 cylinders, automatic transmission, all wheel drive. Exterior is silver with black leather interior. The car has power steering, power windows, power seats, ABS brakes, cassette, CD, AM/FM radio. This car runs and drives well.